A stranger in the Thames Valley. Whilst Class 33s were reasonably common in the Thames Valley in the 1980s, Class 73s definitely were not! 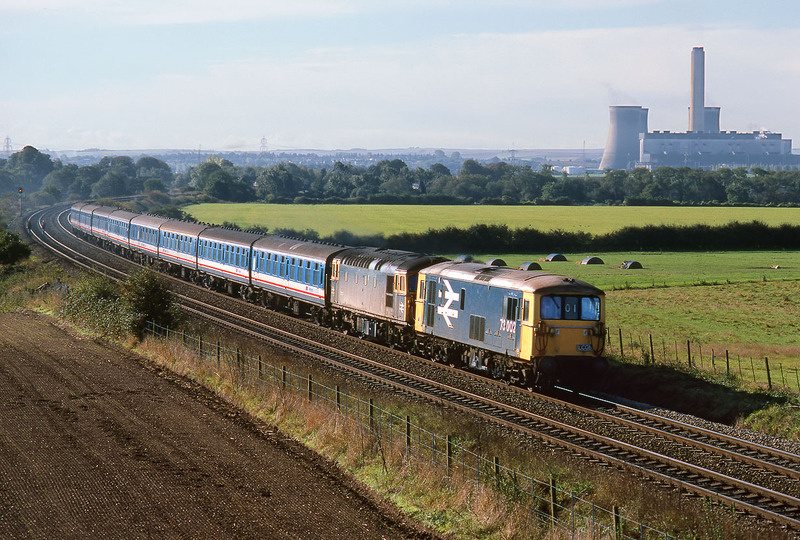 73002 leads 33116 past Culham on 11 October 1987 with the LCGB Waterloo to Kidderminster 'Severn Valley Express' railtour. Not ideal lighting, but one of the few pictures I have of an ED in the Oxford area.